Using FME 2015.1 - 2015.1.0.1, a dynamic workspace that has been setup to use a Feature Type name from an attribute and a default schema definition may no longer complete successfully. This workspace will have been working correctly in FME 2015.0 and older. The issue occurs when leaving the Schema Definition as “Default”. 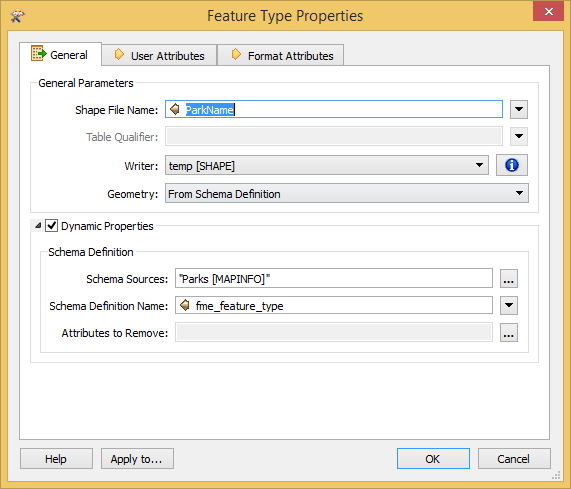 In versions earlier than FME 2015.1 , the default behaviour for "Schema Definition” was to always use the value stored in "fme_feature_type" as the schema definition name. For example, in the image above the “fme_feature_type” attribute (e.g. “Parks”) would be used to define the schema name instead of the values contained in the “ParkName” attribute (e.g. “Greenwood Park”). 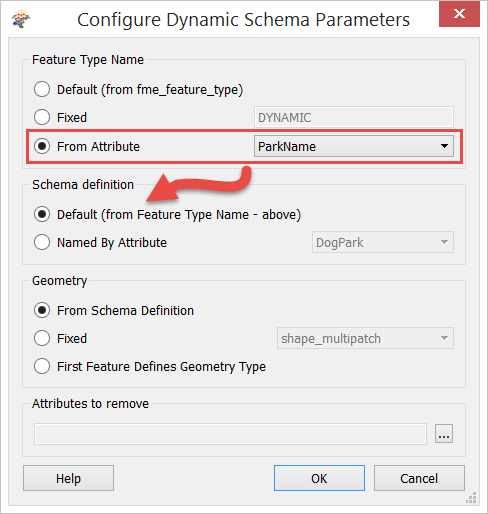 In FME 2015.1 - 2015.1.0.1 the default functionality for Schema Definition was changed to use the value from the Feature Type name parameter instead of “fme_feature_type”. 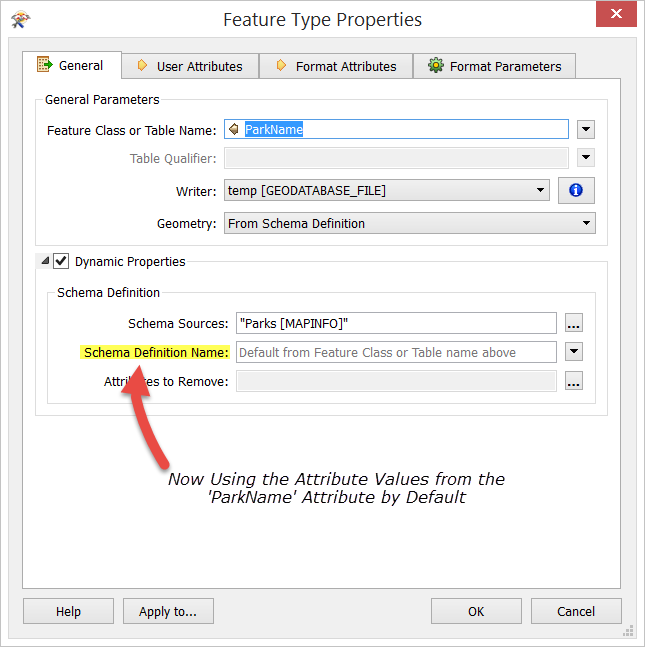 This change was made to ensure that FME is correctly defining the Schema Definition Name from the fanout attribute as specified in the user interface. However, this causes the unfortunate side effect whereby specific workspaces fail to write data in dynamic mode as they are no longer able to find the source schema definition since it is now using a different attribute value (e.g. “Greenwood Park” vs. “Parks”). The easiest solution is to upgrade FME to version 2015.1.0.2 or newer. As of this release, the Schema Definition parameter is now being modified to explicitly state the exact parameter being used. As well, the default setting for this parameter has been changed back to “fme_feature_type” to ensures that older workspaces (prior to FME 2015.1.0.1) will complete successfully.